Before 2001, CrossFit Founder and CEO Greg Glassman was teaching CrossFit, but few knew about it. In 2001, CrossFit.com went up, and in April 2002 the CrossFit Journal site followed and became home to Glassman’s foundational writings about the program. Through articles such as “Foundations,” seminars, technique videos and other media output, the CrossFit message spread from Santa Cruz, California, and generated more than 10,000 affiliated gyms by 2014. Glassman is called “Coach” by most who meet him, and he’s an authority figure in the fitness world. 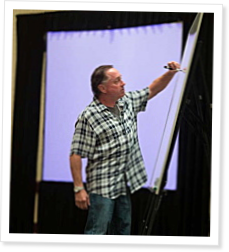 Coaches and affiliate owners keenly attuned to Glassman’s “pursuit of excellence” credo work hard to better their skills daily through self-evaluation, continuing education and professional development. CrossFit coaches are getting better all the time. But do their clients know? Their clients’ friends? The local community at large? In other words, does the market appreciate their expertise? CrossFit coaches have the opportunity to display expertise in every class, but some gym owners are taking it beyond the walls of their gym and finding ways to stand out in their local market. Nicole Scott Smith of CrossFit SoMo talks about life, CrossFit and more.